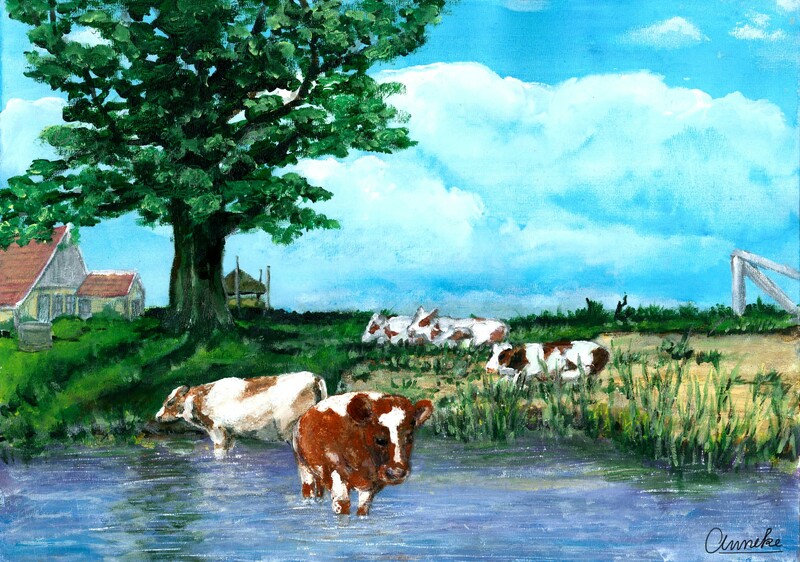 what a great painting Anneke! Artist Reply: This is the world of my childhood. It's great that you like it too, Ron! Artist Reply: Thank you for the wonderful comment! Artist Reply: Many thanks, Vernonette! Artist Reply: I love farm animals, don't you? Thank you so much for the comment, Pamela! 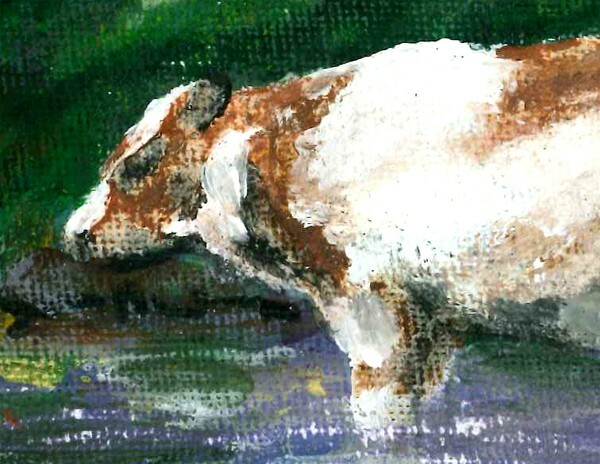 Artist Reply: I had real fun painting this one, I love cows. Thank you very much, Bruce!